The Lincoln Stars will look to rebound after a disappointing homestand last weekend with three games in three nights this weekend against western conference foes. 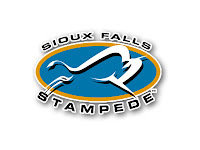 On Friday, the Stars will travel to Sioux Falls, SD to take on the Stampede. On Saturday, the Stars will return to the IceBox to battle the Waterloo Blackhawks. On Sunday evening, the Stars will get back on the bus and take on the Waterloo Blackhawks once again, but this time in their rink. Faceoff for both Friday and Saturday night games will take place at 7:05pm. Faceoff for the Sunday game in Waterloo will take place at 5:05pm. If you are unable to attend any of the three weekend games, you can follow the boxscores online via Pointstreak, listen to Stars radio announcer Mike Melbye on KLMS 1480 AM, or watch the games on FASTHockey for a fee. Lincoln enters this weekend with a record of 12-7-1 (25 points), and are in second place in the USHL Western Conference. The Omaha Lancers, who are riding a three-game winning streak after firing their head coach, are in first place with 26 points, although they have played two more games than the Stars at the time of this article. Click here to see the USHL standings. 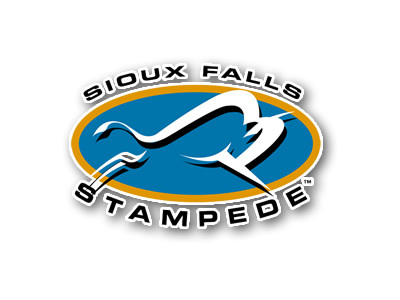 First up for the black and blue will be the Sioux Falls Stampede (8-8-1, 17 points, sixth place in the USHL Western Conference), a team that the Stars are very familiar with. Lincoln has played twenty games this season, and four of those twenty games have been against the Stampede, more than any other USHL team. The Stars are 3-1-0 against the Stampede in those four games, although each game has been tightly contested. Three of the four games have been decided by one goal, and the other game was decided by two goals. In their previous four tilts, neither team has scored more than three goals. A big reason why each of the four previous meetings have been low scoring, and tightly contested, is the fact that both squads have some of the better goaltending in the USHL. The big dog in Sioux Falls is goaltender Stephon Williams. Although Williams is 1-3-0 against Lincoln this season, his individual numbers are very, very respectable. Williams has a 2.03 goals against average, and a .947 save percentage in those four games. On the other side of the coin, Stars goaltender Jackson Teichroeb is 2-1-0 against Sioux Falls with a 1.67 goals against average and a .936 save percentage. Stars goaltender Charles Williams is 1-0-0 against Sioux Falls after stopping all 25 shots he saw on opening night in Lincoln's 2-0 shutout victory over the Stampede on 9/30/11. On Saturday and Sunday, the Stars will get very familiar with the Waterloo Blackhawks (10-7-2, 22 points, third place in the USHL Western Conference) when they play a home-and-home series. This will be the second and third times these two teams will face each other this season. In their only previous matchup, the Blackhawks earned a quality 4-3 win over the Stars at the IceBox on 10/7/11. 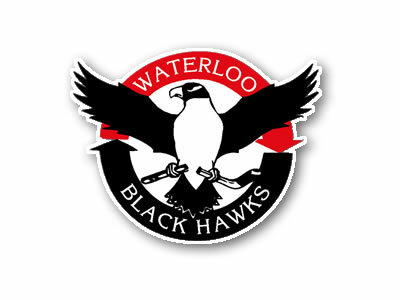 In that game, Waterloo broke a 3-3 tie late in the third period with powerplay goal to win it. Waterloo is a very young, fast, talented team that is right behind the Stars in the USHL Western Conference standings. Leading the way for the B'hawks is the youngster Taylor Cammarata, who just happens to be the youngest player on the team (DOB 5/13/95). Cammarata was picked #1 overall by Waterloo in the 2011 Futures Draft after he scored 139 points (71g, 68a) in only 54 games last season for the Shattuck-St. Mary's U-16 prep hockey team. Through 19 games for Waterloo this season, Cammarata has 24 points (12g, 12a) and is third overall in USHL scoring. It's hard to believe that a 16-year old is racking up points like Cammarata has, and is near the top of the USHL scoring chart. The two games against Waterloo will be a huge test for the Stars, considering the B'hawks are right behind the Stars in the standings. Waterloo is traditionally a team that the Stars haven't not had a lot of luck against in the past five years or so. 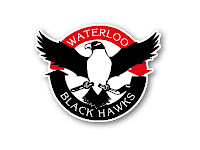 Going back to the start of the 2007-08 season, the Stars and Waterloo Blackhawks have played a total of 13 times in the regular season. The Stars have a record of 3-6-4 in those thirteen games. Only three wins in 13 games against Waterloo. Overtime hasn't been kind to the Stars against the B'hawks over the years either. The game against Waterloo at the IceBox this Saturday will be the last home game in the month of December for the Stars, so make sure you attend and get your live hockey fix because you won't see it for almost a month. The next home game after the Waterloo game is on Friday, January 6th. Eight of the next ten games the Stars will play are on the road, so in order to stay near the top of the standings, Lincoln will have to win a number of games away from the comfy confines of the IceBox. I forgot to mention that we will have a live chat going for the Sioux Falls game on Friday night. We will not have a live chat for the Sunday evening game, however.